The Lunar Chronicles by Marissa Meyer is an amazing series that I have currently finished but I have too many thoughts to lump the books into a series review. Beware this review will be from the perspective of someone who knows where the series ends up so I might overlook some details etc. You can read my review for Cinder to see my thoughts. I refer heavily to themes or topics in that review in this post so reading it will be incredibly helpful. Well if you’ve already read Cinder, which you should have, then you know that Cinder is part cyborg and part Lunar. You know that she’s been put in prison after the whole fiasco with the ball and you know about how she has Iko’s android chip in her leg. Basically this book follows two plots, firstly Cinder trying to escape from prison and figure out what is going on. She makes a new friend, attempts to stay hidden (and does it pretty badly) and also learns more about her place in the Lunar drama that went down. 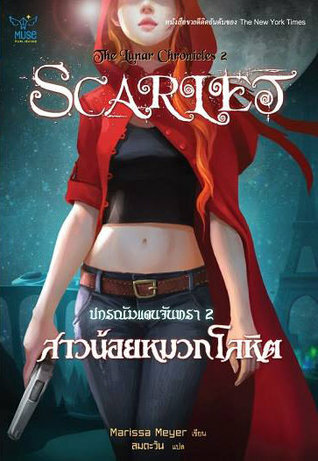 The second plot follow Scarlet, a new character that a lot of people find annoying. Her grandmother’s been kidnapped (surprise surprise considering this is Little Red Riding Hood retelling) and she meets a fellow ho goes by the name of ‘Wolf’ which is also pretty much a given considering the fairy tale in question. Wolf is weird, and we don’t know much about him but he’s helping Scarlet find her grandmother which is the main thing. 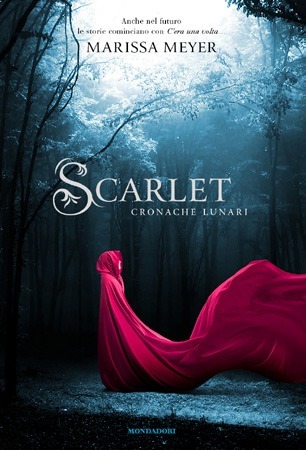 Oh also Scarlet’s story takes place in France and the people of Lunar have big plans for taking over Earth. That’s pretty much what you need to know considering if you’ve read Cinder you are almost certainly going to love this book. 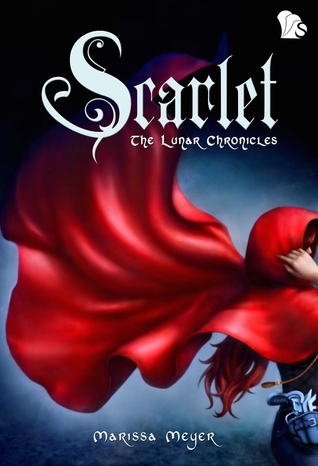 As with Cinder, Scarlet has a heck load of covers so I am going to give my opinions on a bunch of them. 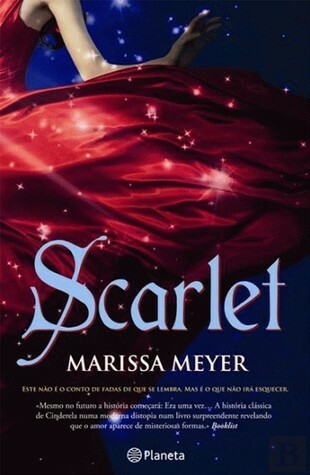 The American/British/Australia cover – slightly confused by this cape because Scarlet wears a hoodie… but it looks pretty and I understand why they didn’t want to have her face. Indonesian cover – this is fairly similar to the usual cover for Scarlet but a lot better. I actually love this one because it shows a bit of her gun and this looks more like a hoodie in a way. 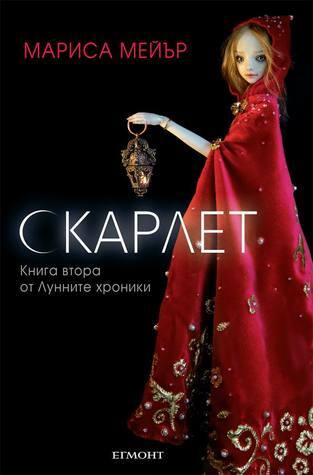 Swedish cover – very similar to the Bulgarian cover, the same creepy doll and pretty cape. The Swedish Cinder cover was also a doll so I like that this has a similar theme. That font is also super pretty. 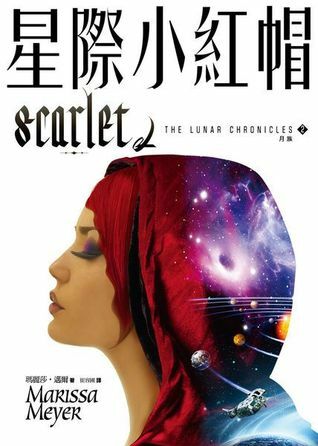 Chinese cover – this is super pretty and I love it and although it is in the same style as the Chinese cover of Cinder they are quite different and now I am just wishing the Cinder cover was like this one. That space thing in the hood is super cool and I like the white background. 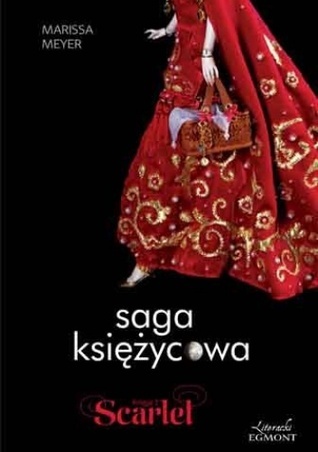 Polish cover – this is probably the only cover so far apart from the UK/Aus/US and the German one that is the same style in the Cinder and Scarlet and I actually like that. This is very little red riding hood esque but doesn’t quite capture all of the intricacy of the story. What I want is to see some of Wolf on the cover. 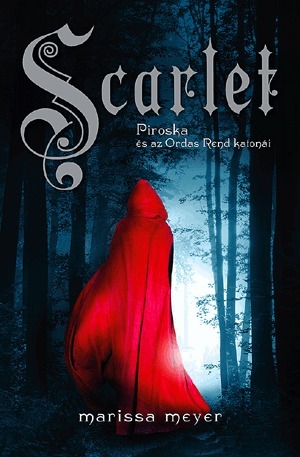 Hungarian cover – pretty similar to the third cover we looked at, this is actually very pretty. I think it has limited relevance to the story and it also has really nice fonts. It’s nice but not that original. Vietnamese cover – I love this cover, it is so pretty and that silk looks amazing. It doesn’t really tell us much though… and the Vietnamese cover for Cinder was so pretty and cute and I want more of that. Still doesn’t tell you much about the story but I like it better than the other ones. 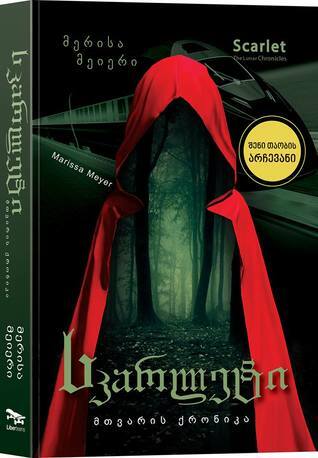 Georgian cover – this one is actually original and I like it, the red coat is still there but that train background makes it feel sci-fi and the woods on the inside is a good way to not show the face. This one grows on my the more I look at it. 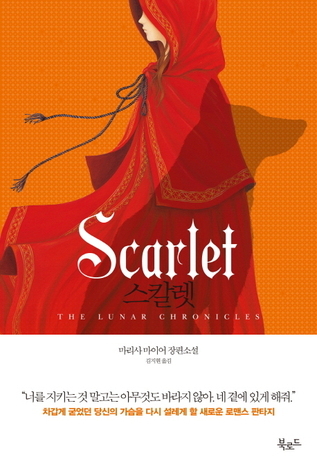 Korean cover – I like this one, that coat is more my style and I am loving that shadow of a wolf which really hints at the fairy tale. It is similar to the Korean Cinder cover and I love that. Thai cover – the Thai covers are actually really good, there is some similarity with the Cinder cover which you all know by now that I appreciate. And this actually looks like a hoodie as opposed to a coat, plus that gun. YES. Also the background has the Eiffel tower along with a train crossing a bridge. I approve of this cover so much. which covers do you like best? I think my favorites are the Indonesian, Hungarian, Koran and Thai covers. 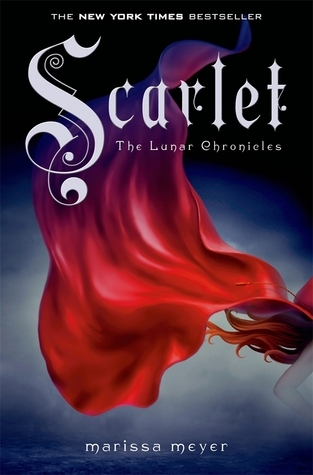 I am kind of disappointing in the Scarlet covers, there were so many amazing Cinder covers but the style for most of then has been completely changed. I think in my Winter review I’m going to have to take a special look at which covers have managed to actually stay the same the whole time and applaud them vigorously because there is NOTHING more annoying that a series changing its covers. I kind of don’t know what to say about this book. There are so many things. It was even more of an emotional roller coaster than the first book and left me constantly guessing. I didn’t know if Wolf could be trusted for the whole book and I spent my time swinging between loving him and hating him. Scarlet was an interesting character, some aspects of her I found annoying but I liked her brash and outspoken nature and her solid determination. The other new character (Captain Thorne) I didn’t really like. I didn’t not like him… but I don’t care for him much yet. Cinder was still amazing, and there was less of Kai in this book which was to be expected I guess but I still feel like I want more character development from him. The overarching plot continues to unfold in this book while we are introduced to the new characters which kept things moving, both plots were equally interesting and I liked seeing how they indirectly influenced each other. I am just really enjoying this series. 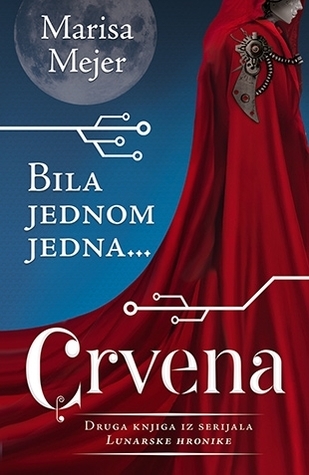 I usually do a ‘similar books section’ but this post is long enough as it is and I did a pretty extensive one at the end of my Cinder review so check that out if you’re interested. The Lunar Chronicles are so amazing, aren’t they??? 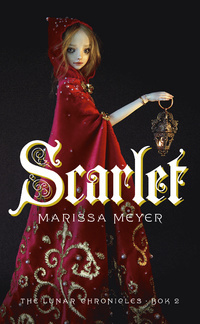 Scarlet was so action-packed that I couldn’t wait to get to Cress. And WHAT THERE IS A THAI COVER??? THIS IS AMAZING. (I am Thai. XD ) Great review, and I totally agree with the five star rating! Ahh that’s so cool. I love looking at all the covers because there are honestly so many amazing ones!! The Lunar Chronicles is amazing, hope you get to Cress soon. haha woops, so have I. Personally, I LOVED The Lunar Chronicles, it was AMAZING! Ahh yes I loved the Lunar Chronicles too. The characters and plot was so well done. So many covers!! <3 Also, I love this series so much aha, I hope you continue to enjoy the books. Cress and Winter are so great! Lovely review. Ahh yes I am totally loving the whole story. It just works so well together. Glad you liked it too! I love looking at the other covers, some of them are just so awesome. 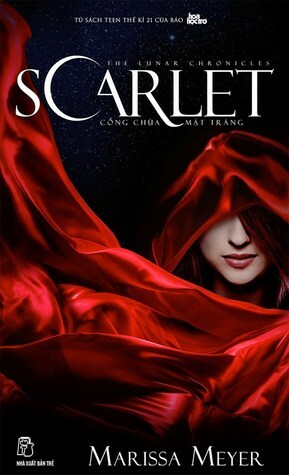 I think that Scarlet was my least favorite book in the series but it was still so good. 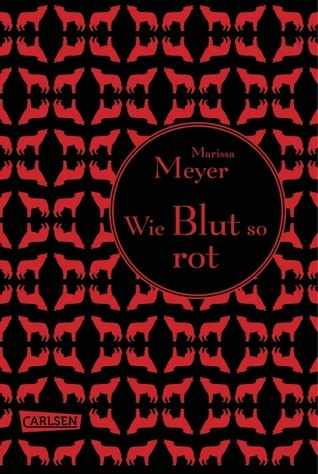 Marissa Meyer did so well at weaving the plot together and I just don’t understand how it happened.